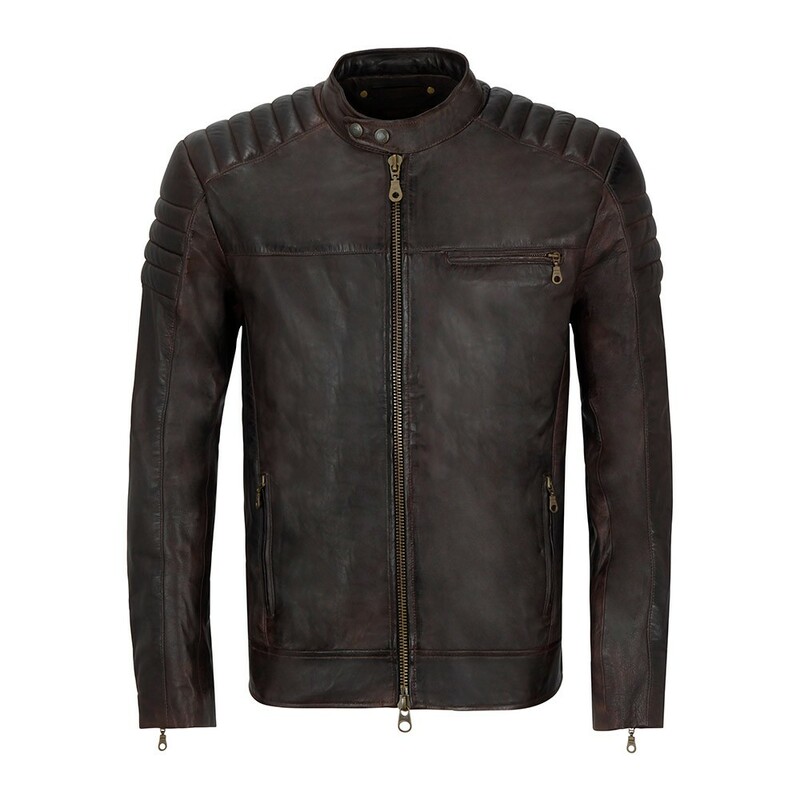 AGUDO is one of our latest dark brown leather jackets. 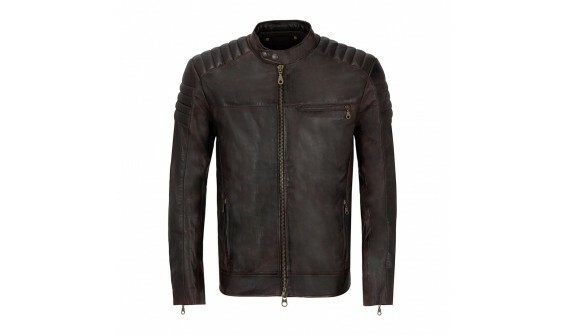 This jacket is produced with caferacer collar and double channel front zipper. 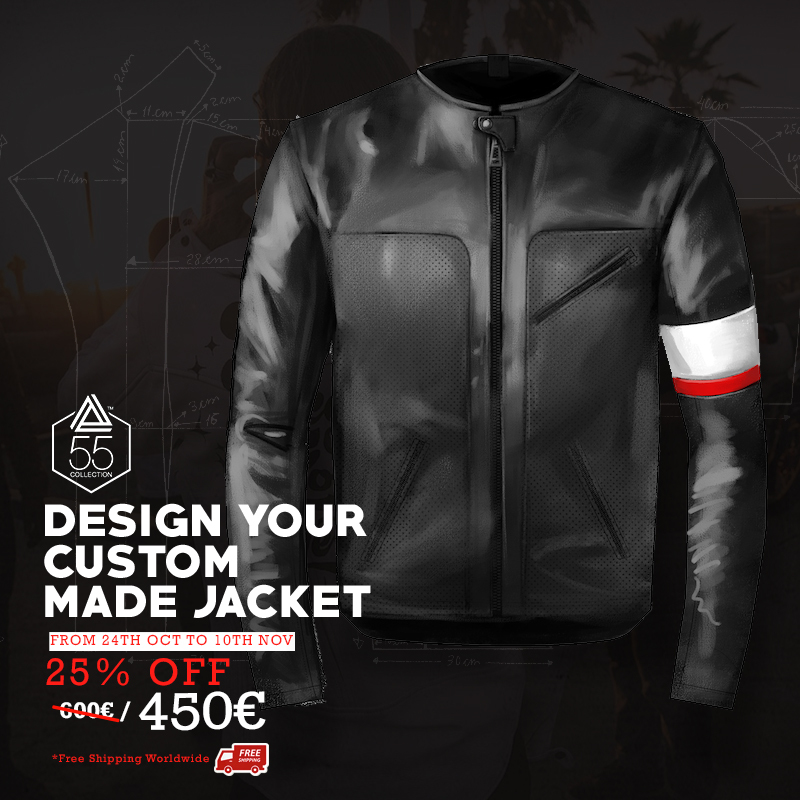 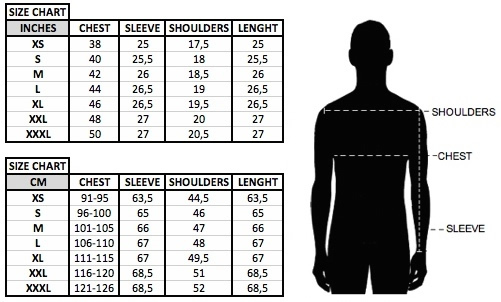 Unique shoulders padding and caferacer style. 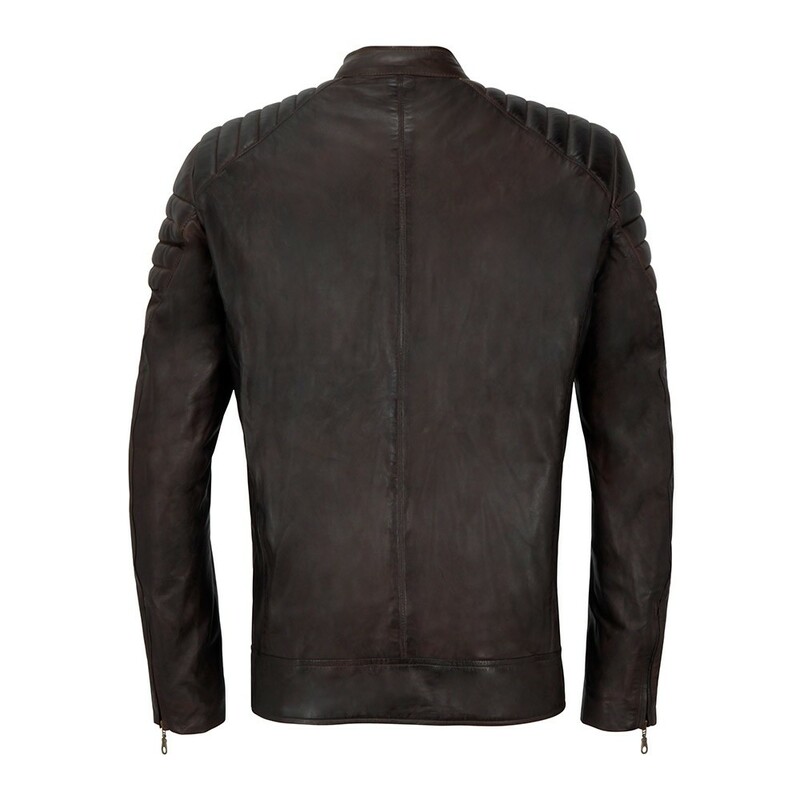 100% Vintage Dark Brown Italian leather.